I wanted to do paint something related to spring and I was trying to come up with some kind of story before starting. 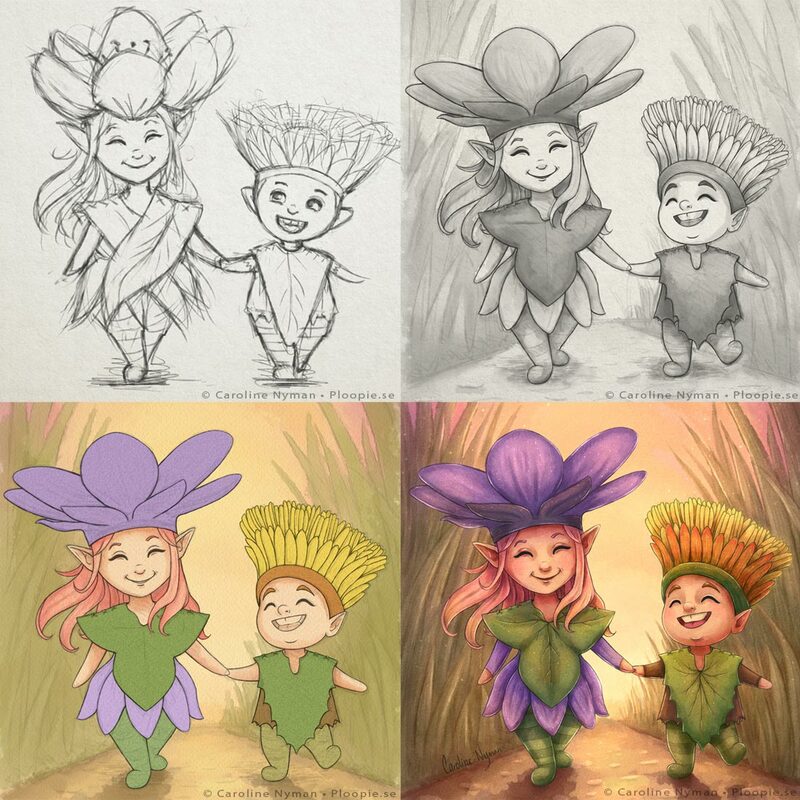 The story that came to my mind was about tiny children going out in the morning to create flowers for spring and to hide from the world they dress up like the flowers they are creating. 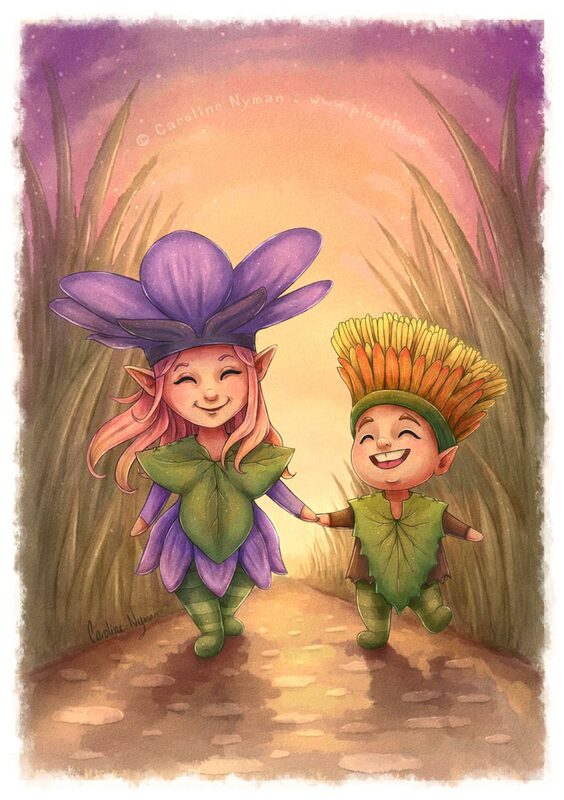 My illustration is suppose to be showing how the big sister Hepatica is taking her little brother Tussilago (Coltsfoot) out on his first adventure. Again I tried to make it look like watercolours, having abit more fun painting these instead of what I did before.. just over-rendering everything.